My son is a programmer and works for Fundy Software. Fundy makes excellent software for professional photographers. I’m working with their Fundy Designer software to create albums, but today I’m playing with Fundy Blog Collage. It’s pretty damn cool, too. Once you have your logo saved within the app, creating the collaged image below from separate files on a hard drive would represent about three minutes of work. Easy peasy! 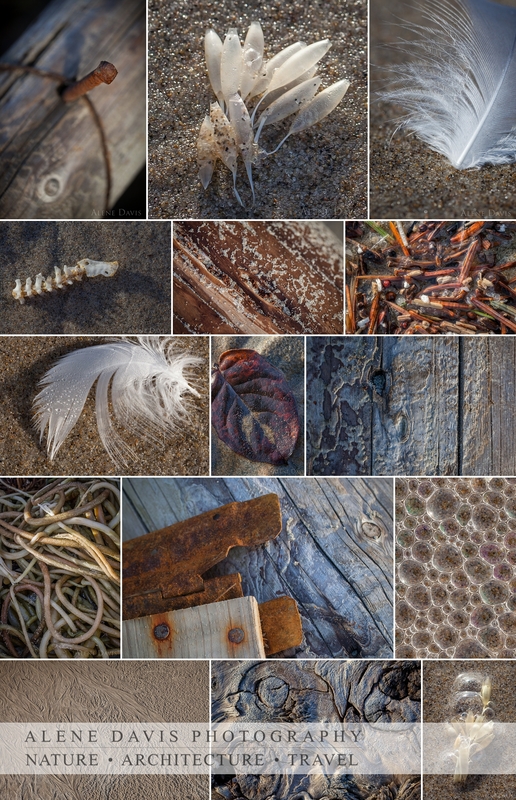 These are details from a beach walk I took a couple years back with a 100mm macro lens. It’s amazing how versatile that lens is. I also got some sweet landscape shots with it on the same walk. Cool! I have so many life events to catalog and print into books, marriage, first two and a half years of child, and two trips abroad… does this tool work in photo books too?